Monday Morning! Hurrah! I get to be back at work! Wait... what? Over this weekend I realised - just before retroactively making it clear that I won’t be posting on sundays - that if I just leave it up to the universe to offer me thoughts and opinion I'll have a hard time posting every single day. I realised that I'll need some help - or at least some structure - so I decided to create a number of segments that I could use when I'm stuck. The first is a weekly piece - inspired by my friend Rixel's blog - called 'Of Fifty-Two' where I get a chance to talk about my fifty two favourite things, most of them quite geeky. Whether its television shows, movies, characters, games, books or even music (if you didn't know that there was geeky music before then google Leetstreet boys or Chameleon Circuit). The first iteration of Aaron Sorkin's genius on film I saw was Studio Sixty on the sunset strip, a single season show set behind the scenes of a Saturday Night Live-esq sketch show. if you haven't seen it think 30 Rock, but good. Ok, that's harsh. Think 30 Rock, but less slapstick humour and more wordplay. Less caricatures and more realistic characters. However it's left wing politics, blatant Bush bashing, anti-media agenda and high production costs- not to mention the crazy long hiatus, lack of publicity and poor scheduling - caused it to be taken off the air after a single series. I fell in love with the series and the characters after the first episode and still watch it through from start to finish whenever I'm feeling depressed. That said, I'm glad it only lasted a season. It means that it's left as perfect as it can be, there will be no attempts to needlessly lengthen the series with poor plots or pointless characters. After Studio Sixty I went back to Sorkin's first TV hit, the West Wing. When I first heard about the show it didn't interest me at all. A seven season look into the running of the US Presidential Office. It sounded boring, but I swear to whatever we atheists swear to -Science? - that its funny. It's engaging, it's dramatic and, holy crap it's funny. 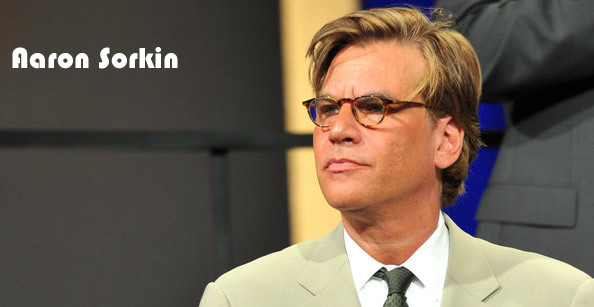 I spent two weeks just watching every episode - and I think I'm probably due for another re-watch - Again Aaron Sorkin made me fall in love with an ensemble of amazing characters, some likeable, some not so much. While the show was a work of complete fiction it gave me some insight into what the US presidency has to deal with when creating new bills. It's not like most people think where he clicks his fingers and it happens, and I think everyone who complains about politics - their president/prime minister in particular -should watch it. Hell, even if you don't complain; watch it anyway. Lastly we have the Newsroom, his most recent show, still currently airing. I don't have much to say about it except that I'm thoroughly enjoying it so far. YooToobVidyo - this video moved me... how weird. P.S. I did it, sent copies off to agents! Nerd Off? Oh now its Oooon!